We’re looking forward to celebrating the winners of the 2014 Interaction Awards, but the most prestigious one is left to choose: The People’s Choice Award. We invite our community to elevate and celebrate the project you think deserves the ultimate recognition – yours! The Interaction Awards’ People’s Choice voting is now open at http://awardsdev.ixda.org/entries. All of the shortlisted projects are eligible for the Award and you have the power to decide the outcome. This year we are trying something new – we are going social, utilizing Facebook as our voting system. Each LIKE for a project equals a vote and You can LIKE as many projects as you want. Be precious though, the more projects you like the more your vote gets diluted. Cast your vote and follow our announcement on February 8th to see how your vote compares to our jurors’ selections. The 2012 winner, Interaction Cubes by Fundação Oswaldo Cruz/Museu da Vida, from Brazil, was also a top winner–taking home best in category, Engaging, but the 2013 winner, UX For Good: New Orleans was a shortlist candidate voted up by the community. Anything can happen! Spread the word and promote your favorite projects before voting closes on February 8th at 9am CET. 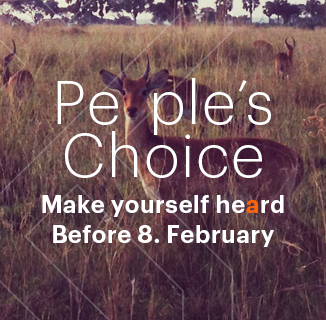 The winner of the People’s Choice Award will be announced at Interaction 14 in Amsterdam. We hope to see you there! I am very interested, please send some information. Thank you.